Melissa Block Looks Back On More Than 12 Years Hosting 'All Things Considered' Friday marks Melissa Block's last day anchoring All Things Considered. She shares some of her favorite interview moments over her 12 1/2 years hosting the show. 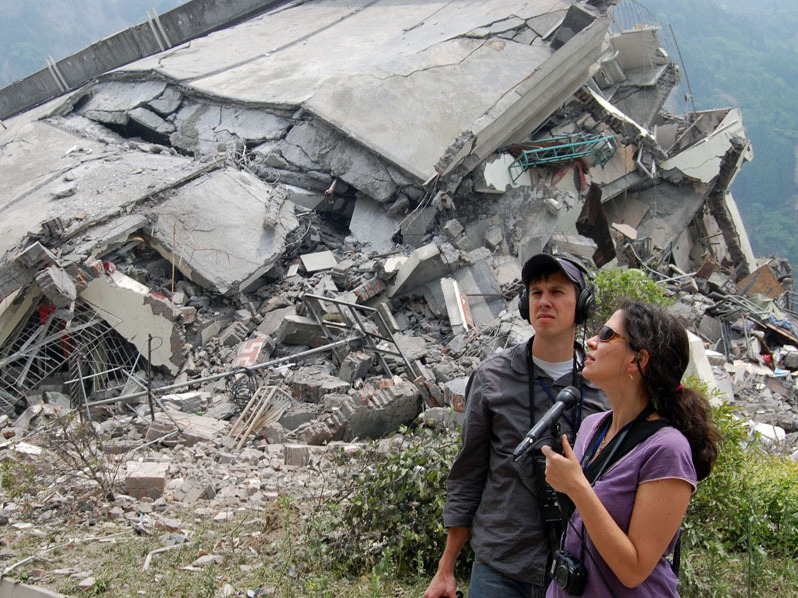 Melissa Block reporting in China in 2008. She was on a reporting trip to southwest China when a massive earthquake hit, leaving some 90,000 dead or missing. She recalls the musical voice of a Louisiana shrimp boat captain who rode out Hurricane Katrina on his boat. And her conversation with the computerized voice of the late film critic Roger Ebert, who could no longer speak after his face was disfigured from multiple cancer surgeries. "I have voices in my head!" Melissa says. "Indelible voices of some of the many, many characters I've met along the way." A few years ago, Melissa asked each of The Rolling Stones to discuss one of their songs. While Mick Jagger chose "Gimme Shelter" from the 1969 album Let It Bleed, he also shared his thoughts on one of Melissa's favorite Stones tunes, "Wild Horses." Melissa started at NPR in 1985 as an editorial assistant for All Things Considered and later became ATC's senior producer. She worked as a New York-based reporter from 1994 to 2002, and her reporting in the aftermath of the Sept. 11, 2001, attacks helped earn NPR a Peabody Award. Melissa will move into a new role as special correspondent for NPR News. Use the audio player above to hear some of Melissa's favorite moments.